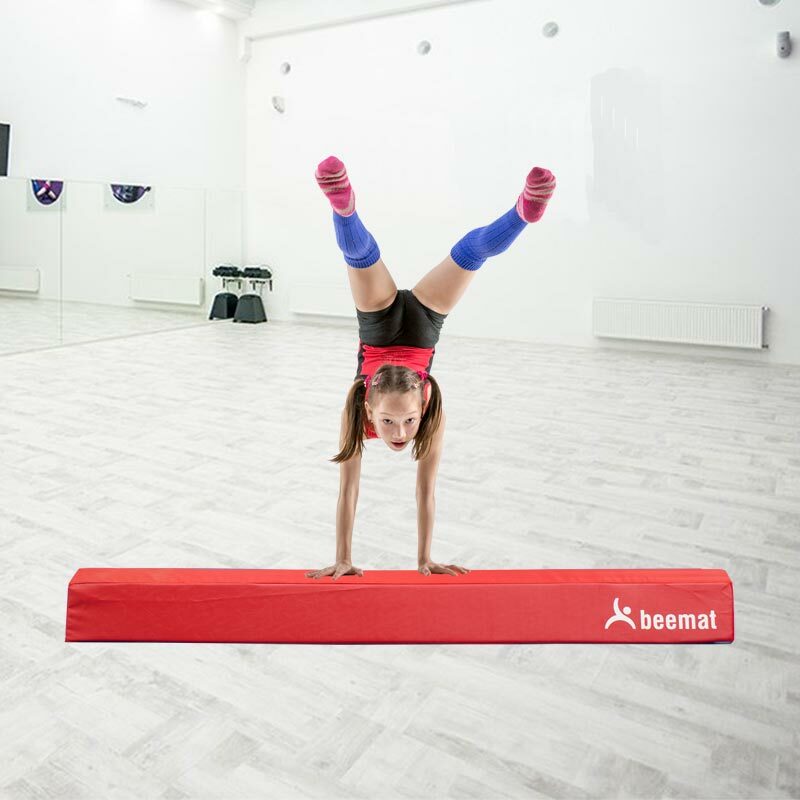 This Beemat ® Balance Beam Red is perfect for training new skills in a safe and fun way. Used for balance and precision, skill repetition, enhancing progression, pre-school gymnastics , home gymnastics, jumps and leaps, balances, spins, forward rolls, cartwheels, backwards and forwards walkovers, flicks, somersaults. 2m long x 15cm high x 30cm wide. I didn't expect the beam to be quite as big! My daughter loves it. It is lightweight but very sturdy. A great way for her to practise her balance and moves. The service and delivery was perfect.